We now offer Instant Credit! Did you know we have Instant Credit Available? 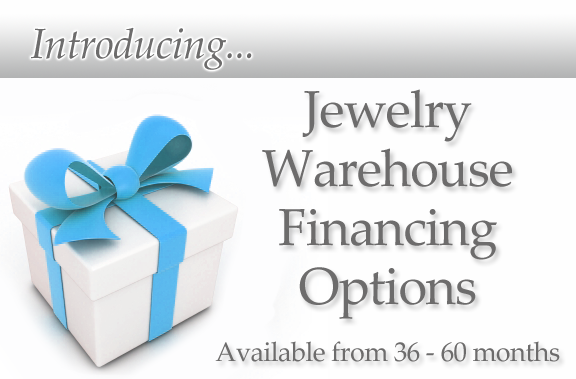 Financing is made easy at Jewelry Warehouse! We invite you to take advantage of our new financing options. We offer revolving credit – our Jewelry Warehouse Credit Card – you can buy something today and can come back in three weeks to buy something else, as long as you still have credit available! Payoff periods are available in lengths of 12, 24 and 36 months with APR as low as 17.99%- that’s lower than ANY national chain store! Subject to approval. You can apply in store only. Please visit one of our Jewelry Warehouse locations for complete details! This entry was posted in Instant Credit, Jewelry, Jewelry News and tagged credit on jewelry, instant credit approval, jewelry credit, jewelry warehouse financial options, jewelry warehouse instant credit. Bookmark the permalink.